1. Spring Clean: I know, I'm slightly late but since we're moving it's the time to really go through my stuff and let go. I'm really trying to take a minimalist approach to things right now so my goal is to really get rid of the things I've never used or haven't used (or worn) in a long time. 2. Organize: This kind of goes with #1, but my life has been helter skelter for far too long...it's time I really get all my things in order so that everything is as time efficient as possible...because I really don't have the time to waste right now. 3. Food Prep: There was a time that I had my life together in terms of food; meaning I actually thought about what I was going to eat the following day and had it all ready to go. I'm in that mode where I tell myself I'll do it in the morning, but honestly know I'll take the extra 5 or 10 minutes of sleep and then end up eating a bunch of junk because I didn't plan. This month is all about getting myself back on track (yes, this includes my blog...April goals kind of seeping into May's) and hopefully with the longer days ahead I'll be a lot more motivated to keep it all together. 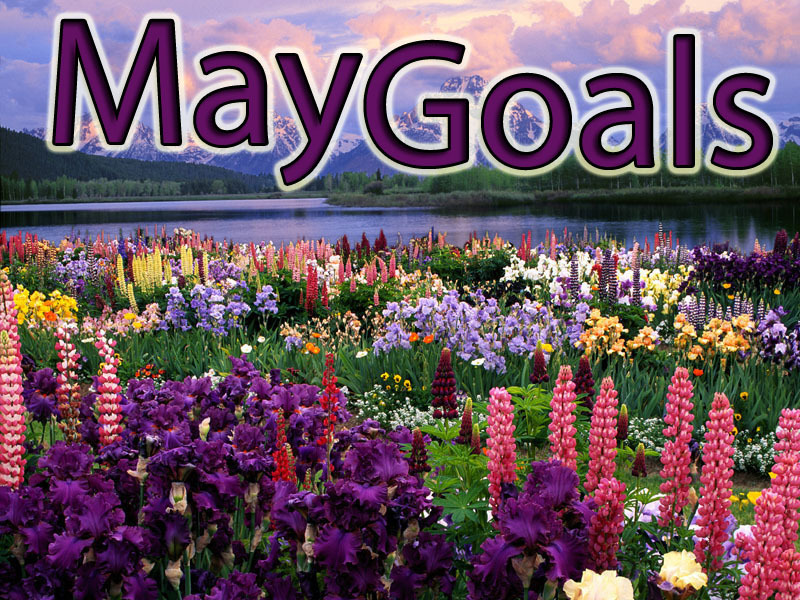 What are your goals for the month of May? Oh Kim, I am having A huge garage sale in a couple weeks so my life is all about decluttering is starting to become overwhelming! It's so easy to lose track of all the things we need to do in life. But if you're happy, that's all that matters! And I am sure you will tackle these things With gusto pretty lady! Hope you have a great month ahead - we don't appreciate the little things and it's those things which count in life. We have to be happy and grateful for everything!! !